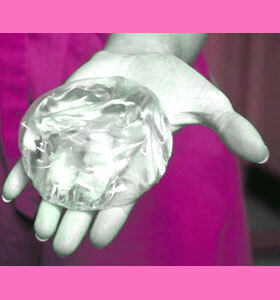 Underfilled breast implants are one technique used by some surgeons to create softer and more natural looking and feeling augmented breasts. Breast implants have a recommended minimum and maximum fill volume, which is set by the manufacturer and approved by the FDA and other governing agencies. Deviating from this set standard might produce some desirable results, but also comes with the potential for serious side effects. 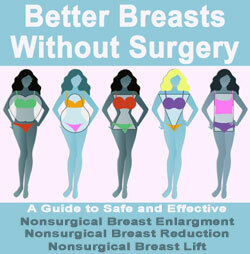 This treatise investigates why underfilling is used during breast augmentation and helps women to decide if this surgical technique might help them to improve their breast aesthetics. The only type of breast prostheses which can be underfilled are saline breast implants. These are implanted in the body empty and filled, by the surgeon, once they are situated in the correct anatomical position. Implants are designed with a particular and somewhat narrow fill range in mind. This recommended range is designed to offer good results in both look and feel, as well as improving implant durability. Changing the fill volume can be done by the surgeon to suit the needs of the patient. Purposefully filling the implant shell with less than the recommended volume is called underfilling. The main benefit gained from less fill volume is a softer feeling and a less rounded appearance. This suits the preferences of many patients, but also incurs considerable risk of implant failure. Less than recommended fill levels do not expand the implant shell adequately. This can create wrinkling and folding of the implant shell, which is likely to be visible through the skin, especially if placed in the subglandular position. In addition, these folds create weak spots in the implant, which exponentially increase the risk of implant rupture, due to shell failure. Obviously, this occurrence would necessitate implant revision and replacement via a secondary surgery. Certain implant types react better to underfilling techniques. Newer implant styles are particularly forgiving in their fill volume range and can offer nice aesthetics and durability when under or overfilled. Underfilling is likely to void any manufacturer’s warranty, which could prove a costly mistake if your implants rupture. Be sure to address the issue of over and underfilled implants with your cosmetic surgeon prior to undergoing your procedure. If they recommend the technique, make sure to understand all the risks and benefits, well in advance of the surgery, so that you can make an informed choice for yourself.